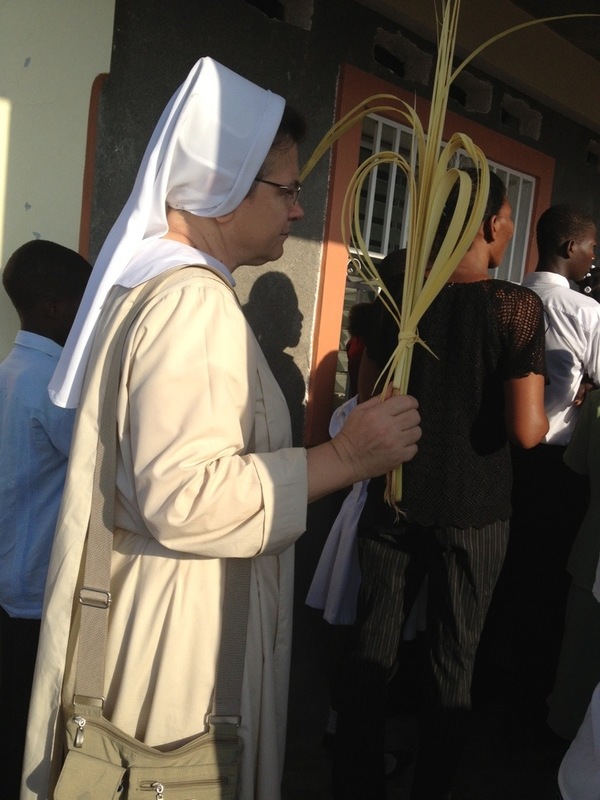 He has truly risen, Alleluia! 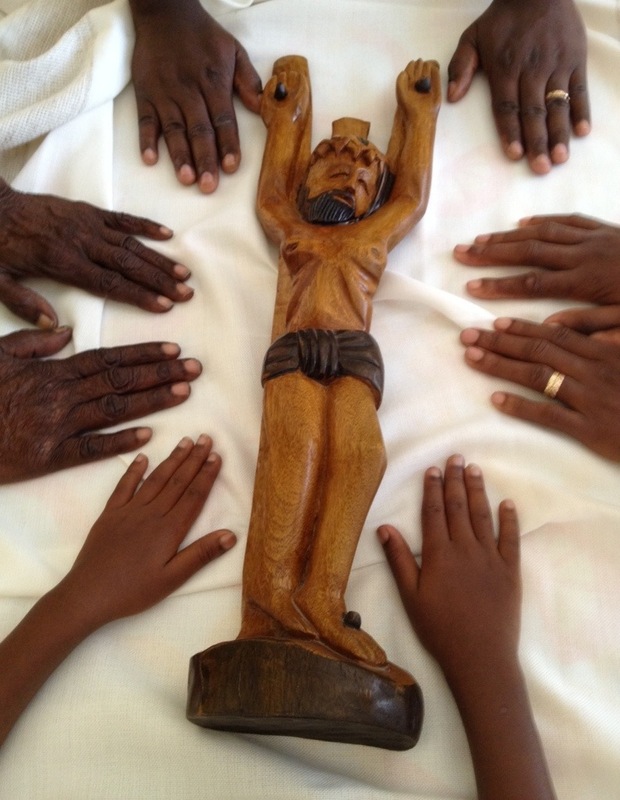 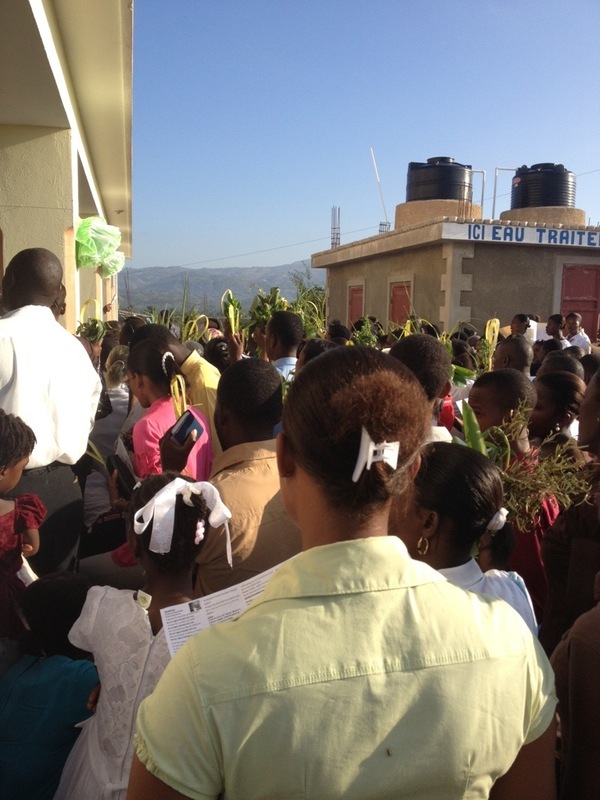 To our Felician community throughout the world, to our families and friends: We wish you all a blessed Easter from Haiti! 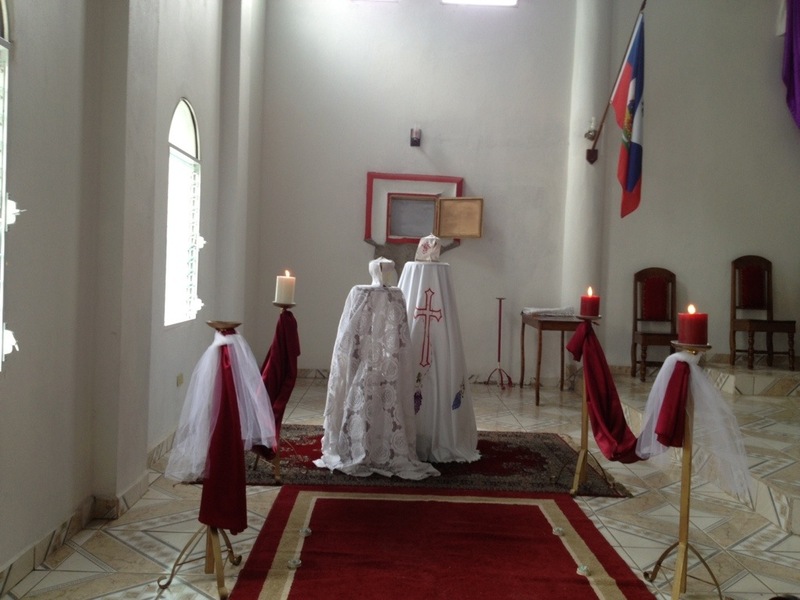 As we waited at the tomb in spirit, keeping vigil with Holy Mother Church, we prepared our chapel, house, and święconkę. 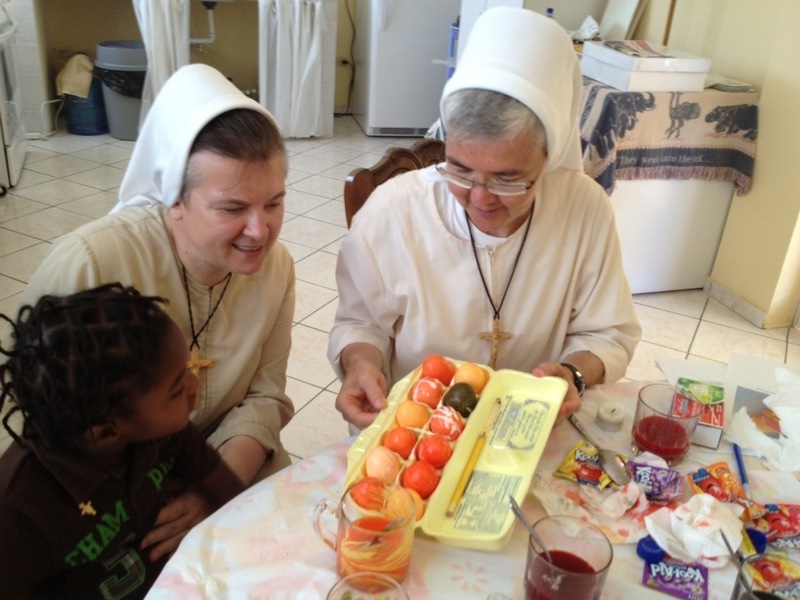 Some of our neighbors came to help us color eggs. 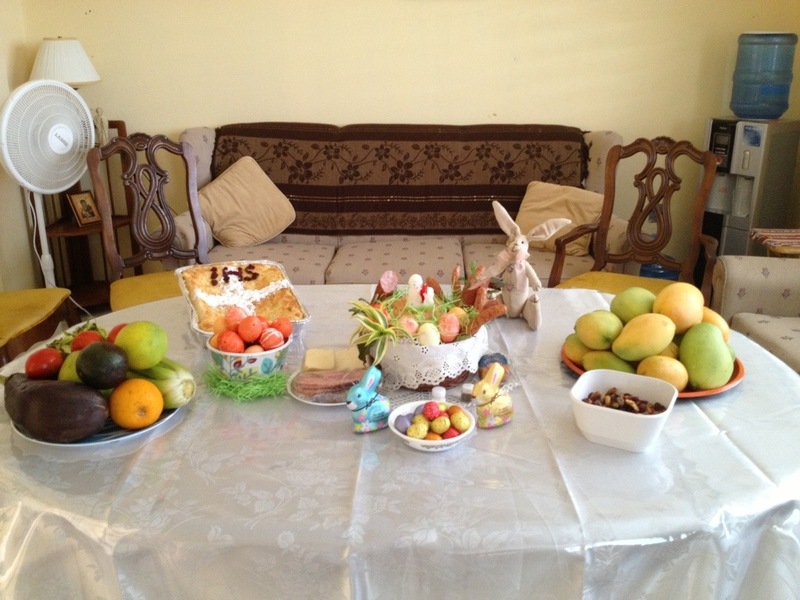 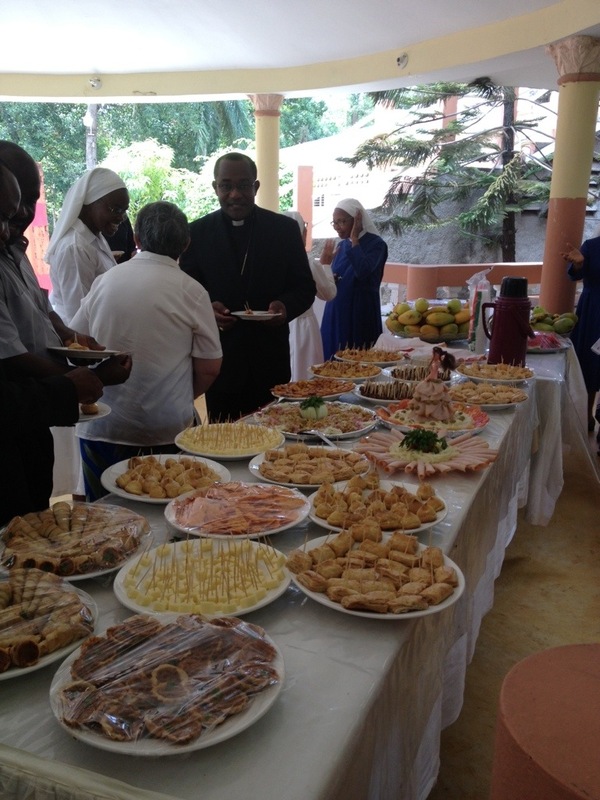 In the afternoon, after we had prepared our table, Father Kontan came to bless our food. 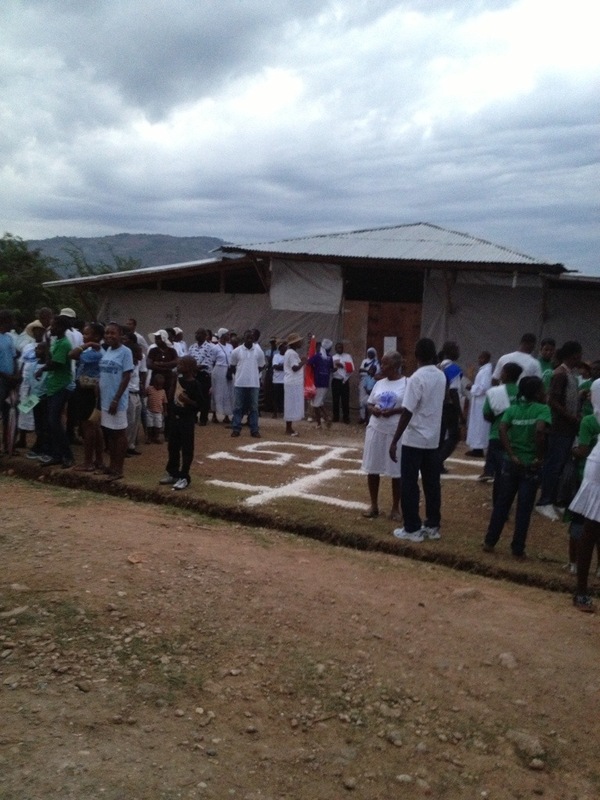 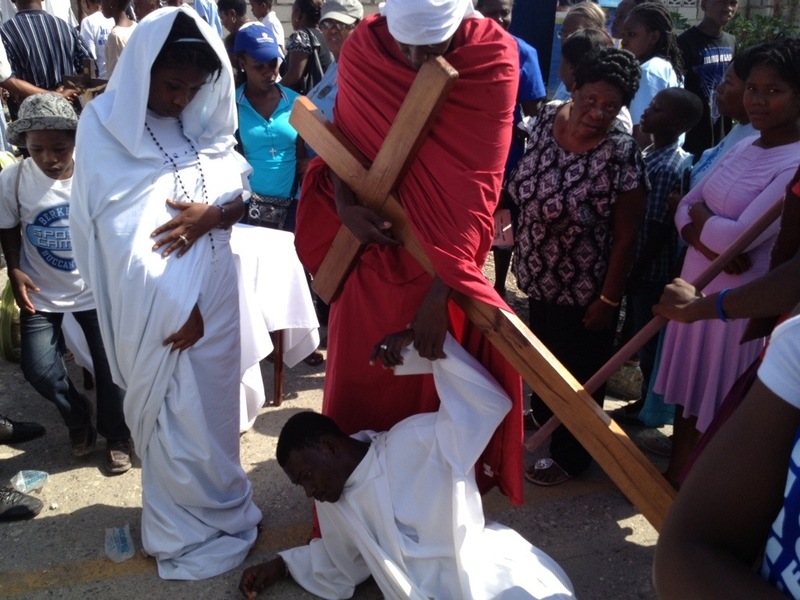 Born of Christ’s death…early in the morning, the whole city of Jacmel gathers for the Stations of the Cross. 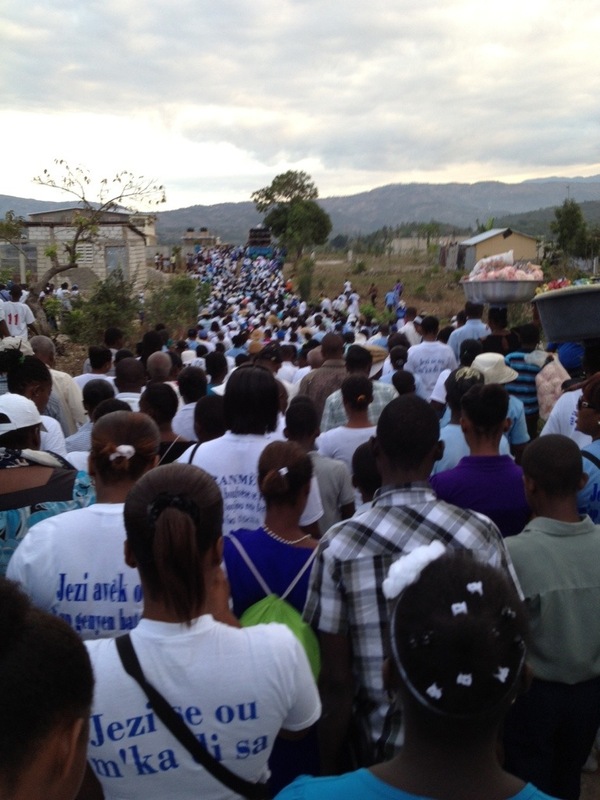 They gather in the parish that is outside of Jacmel, and they walk through the whole city, stopping at fourteen stations. 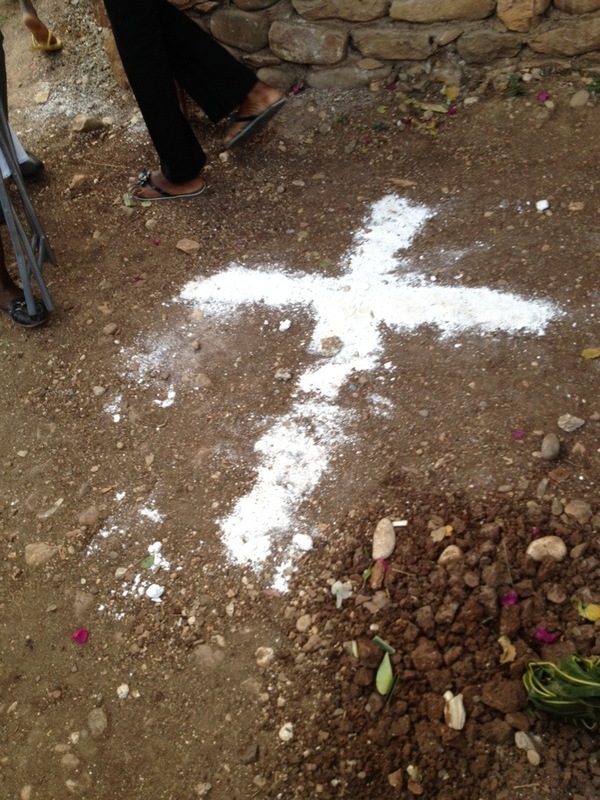 It is a beautiful way of evangelization, born of Christ’s death. 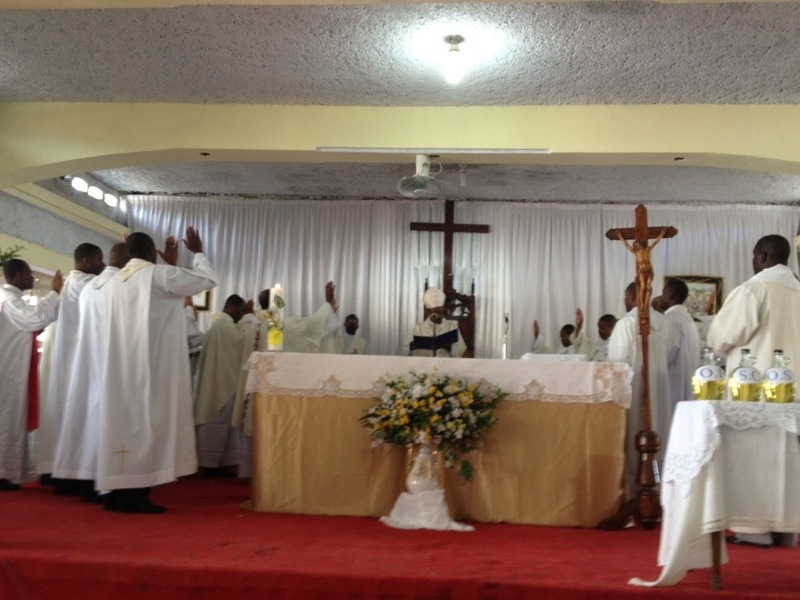 On Holy Thursday, in the morning, we went to the Chrism Mass in the Cathedral. 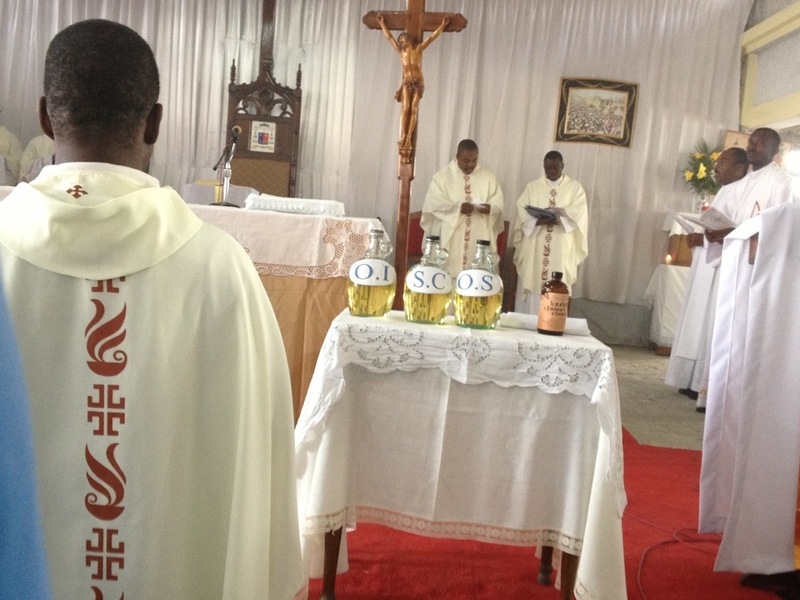 In the entrance procession, the Bishop with his priests carried the holy oils to be consecrated in the beautiful ritual that the church gives us for this day. 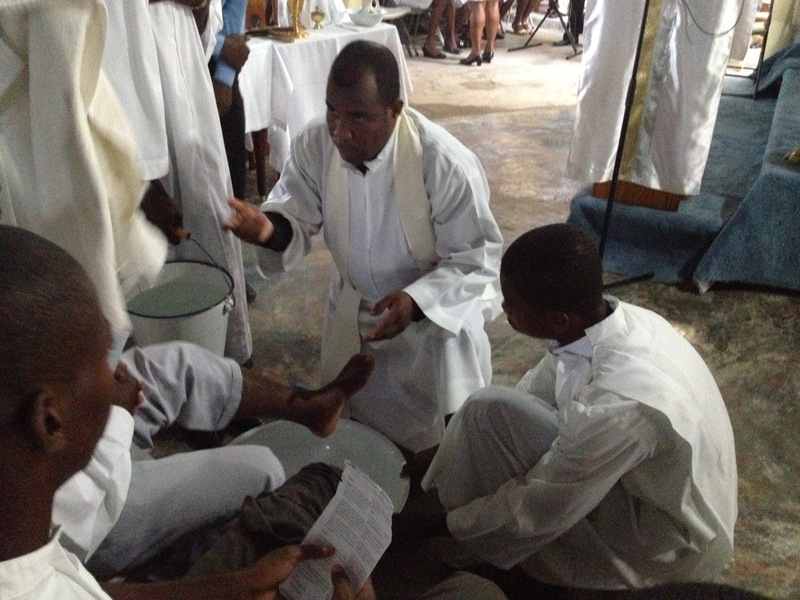 Before that ritual, all the priests had the renewal of their priestly promises. 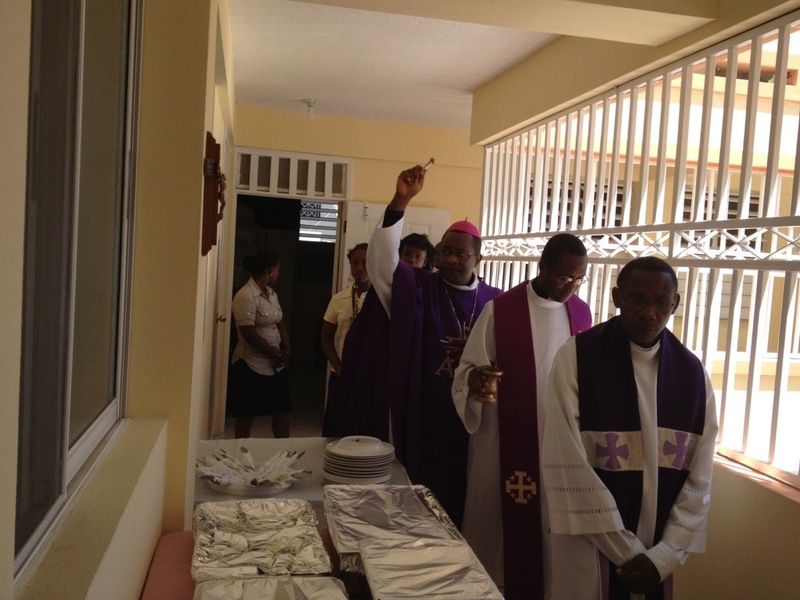 After the celebration, all the priests and religious were invited to the Pastoral Center to celebrate together. 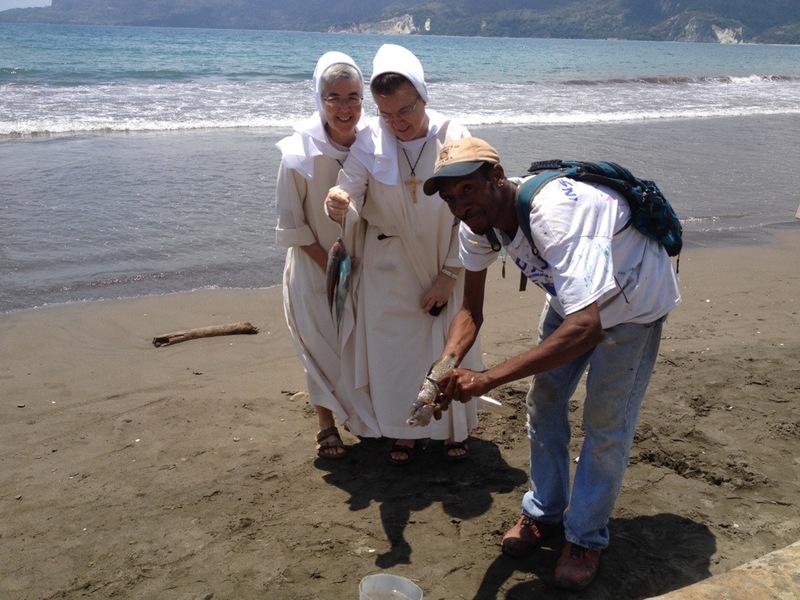 After the celebration, we went to the sea to buy our fresh fish. 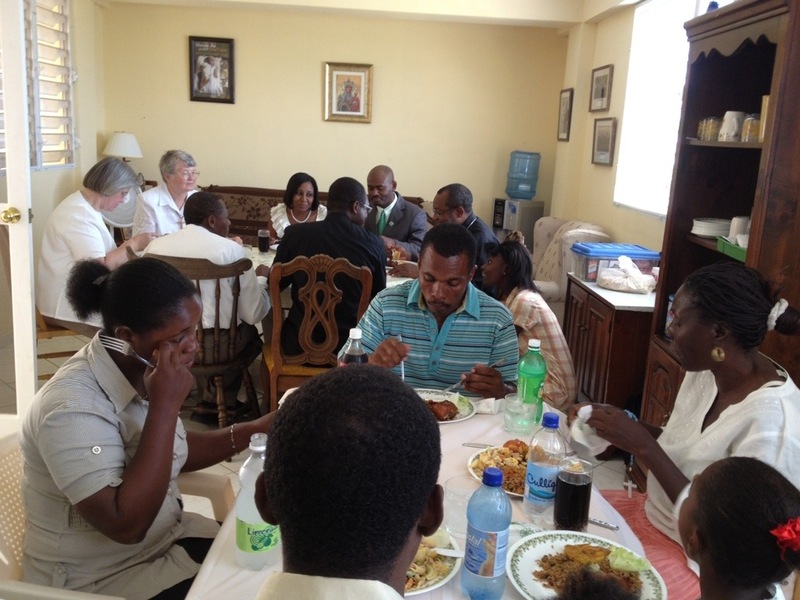 When we arrived home, we prepared for our Agape meal together. 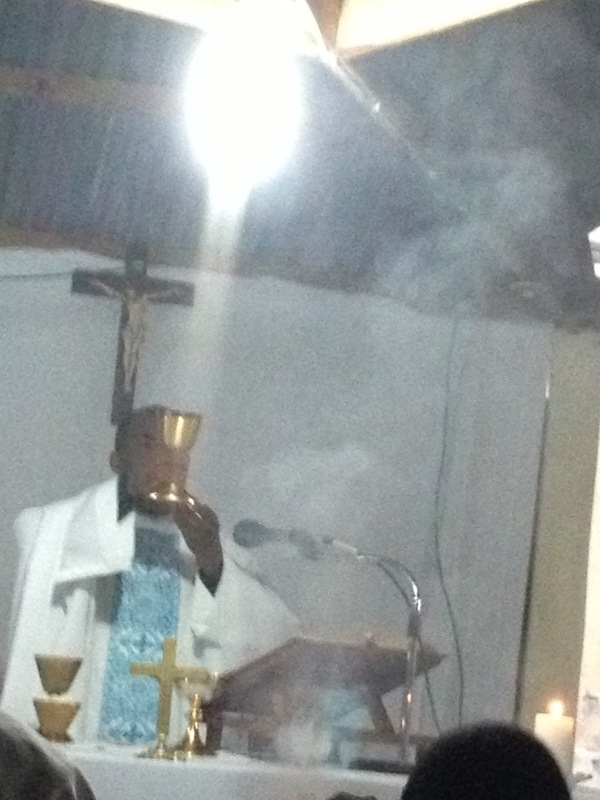 In the evening, we went to St. Michael’s Parish for the Evening Mass of the Lord’s Supper. 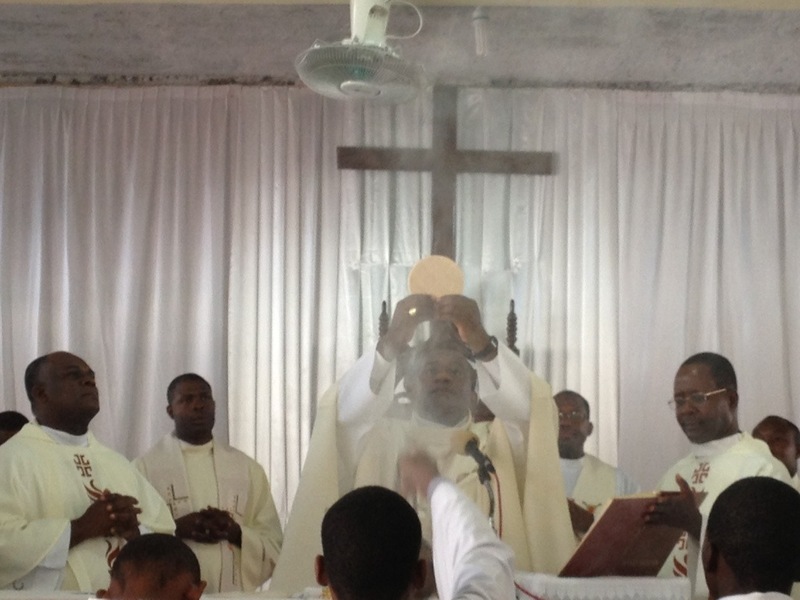 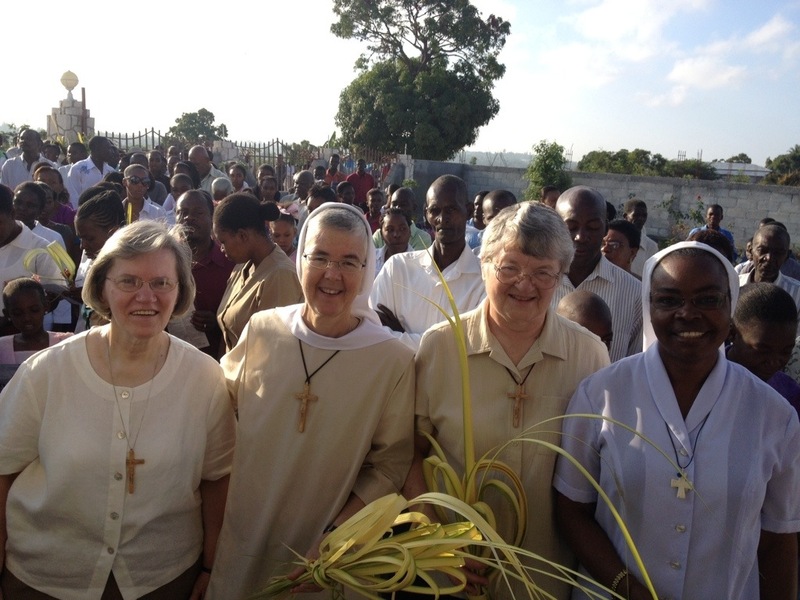 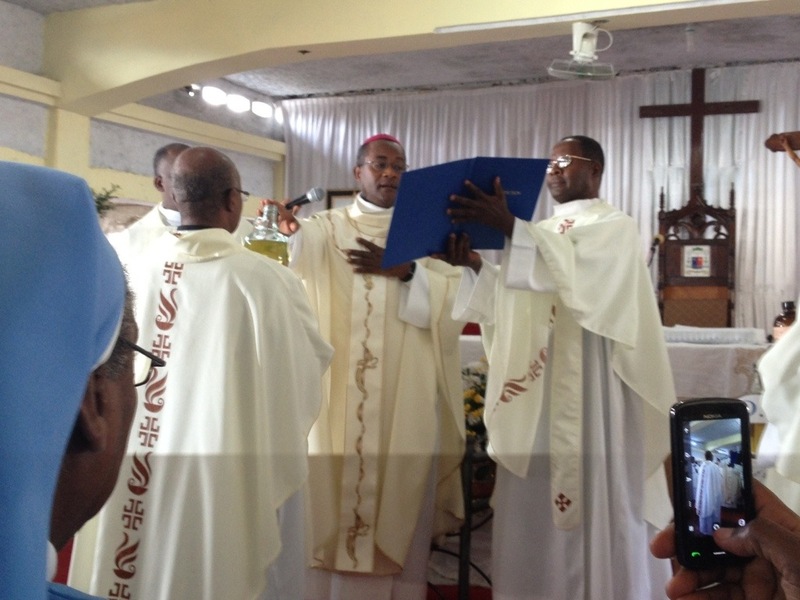 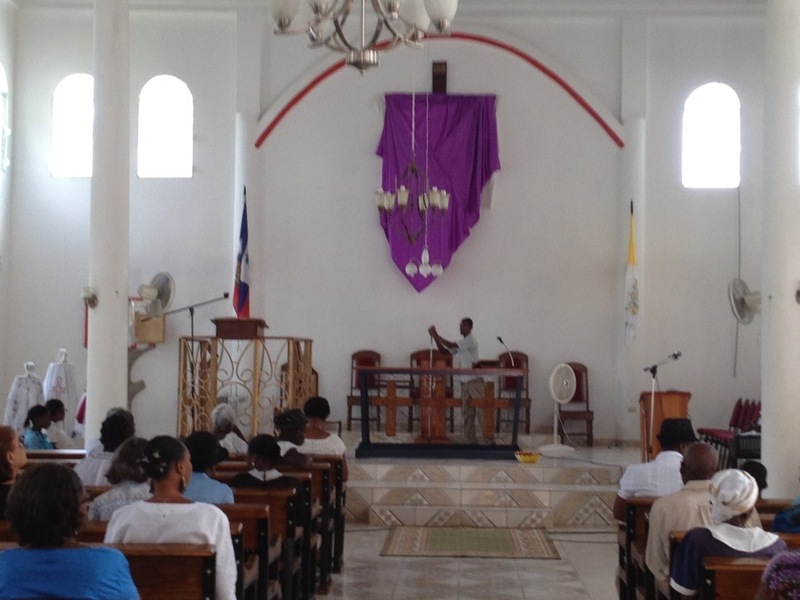 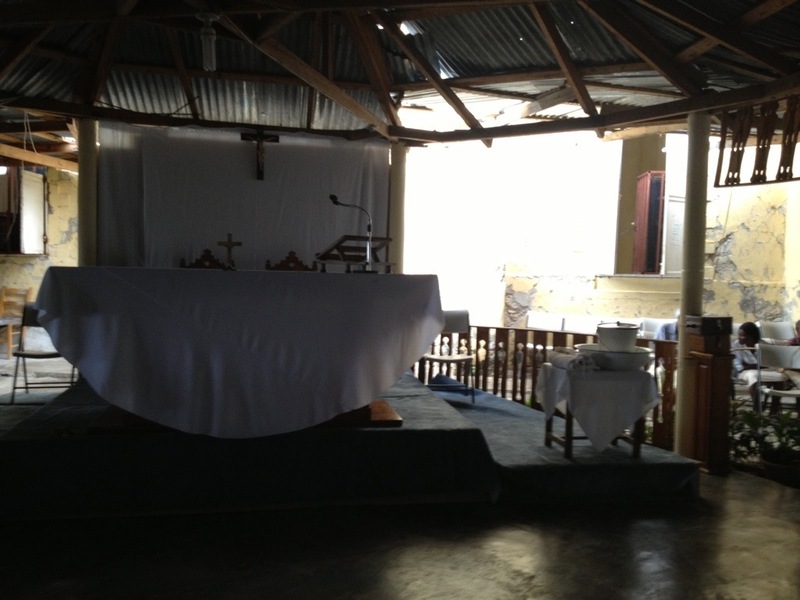 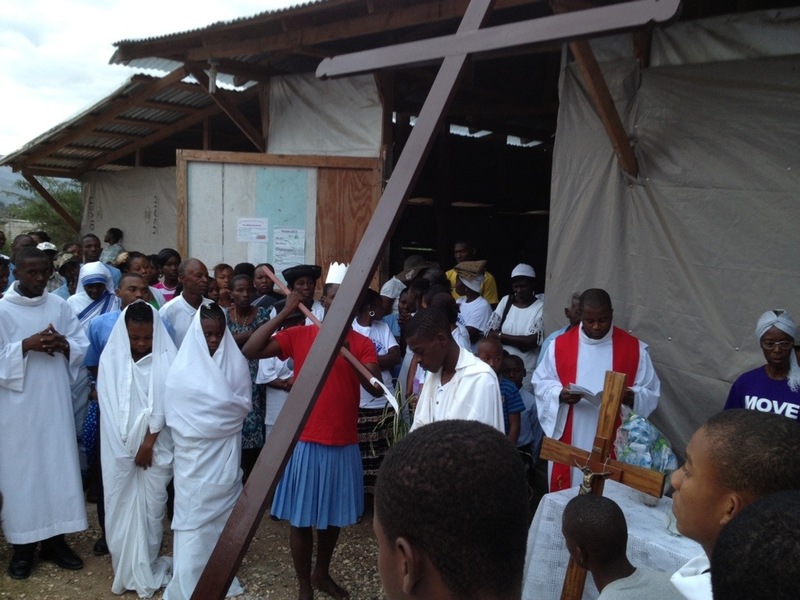 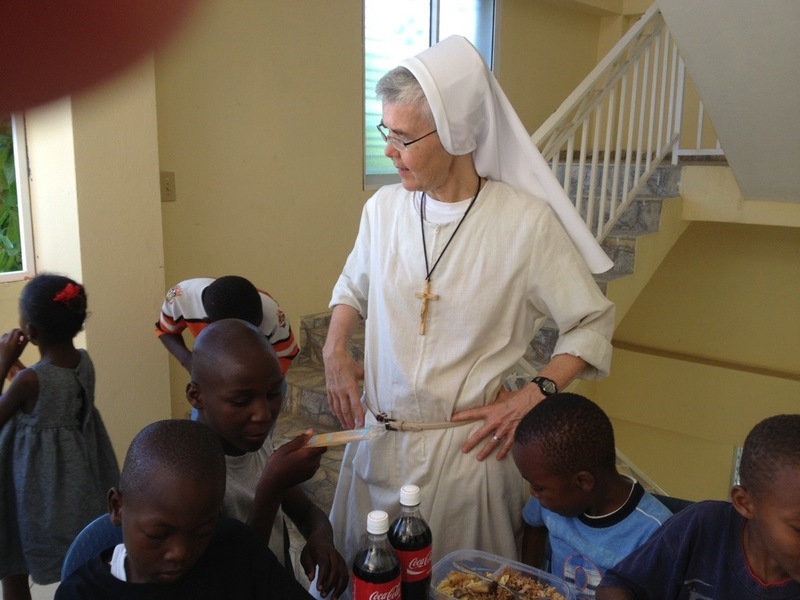 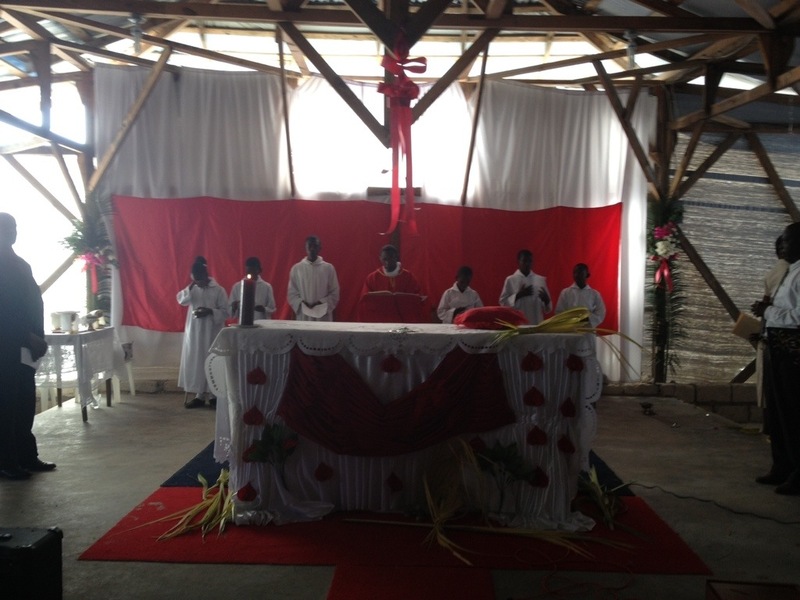 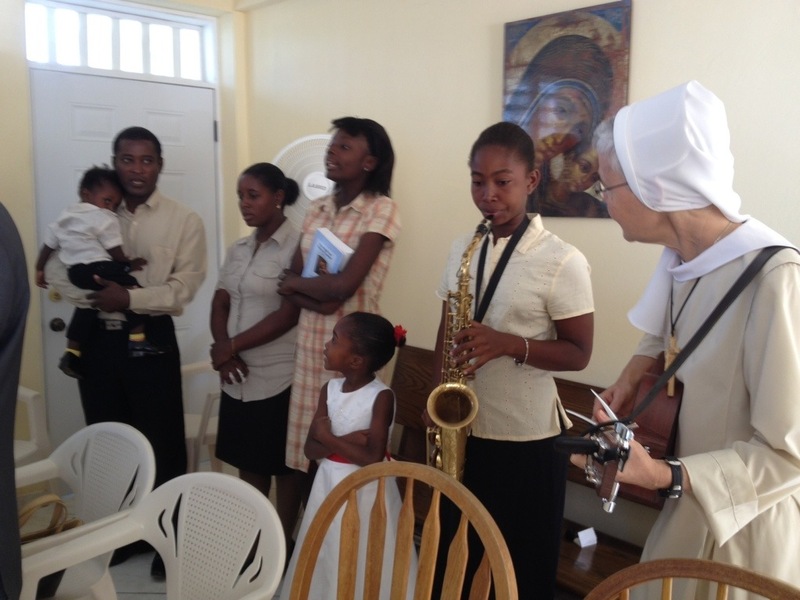 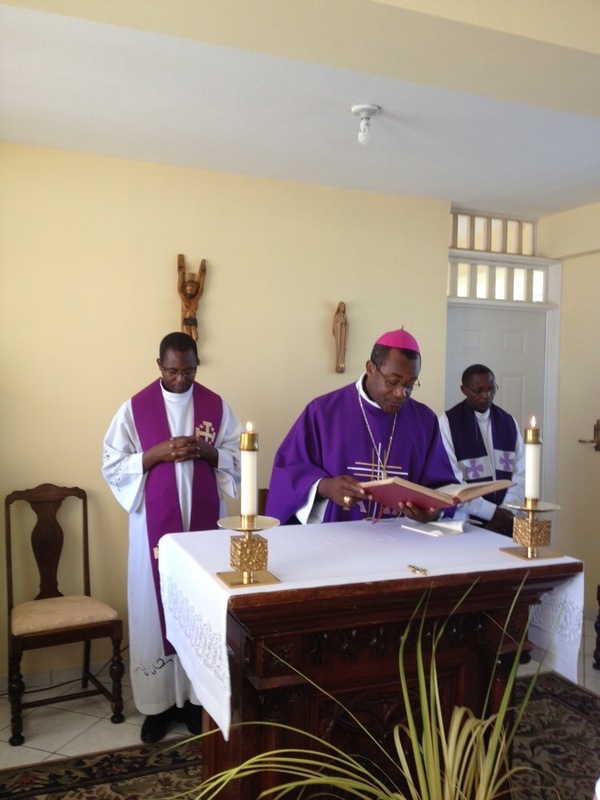 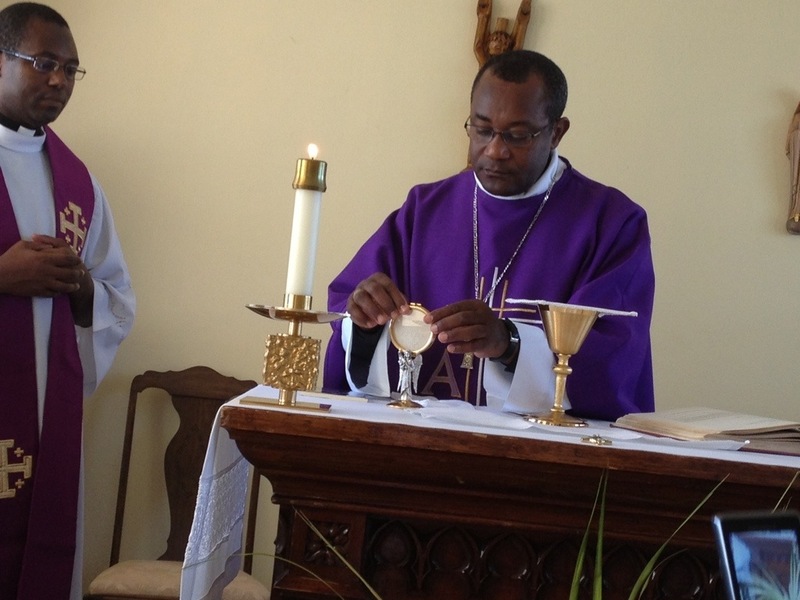 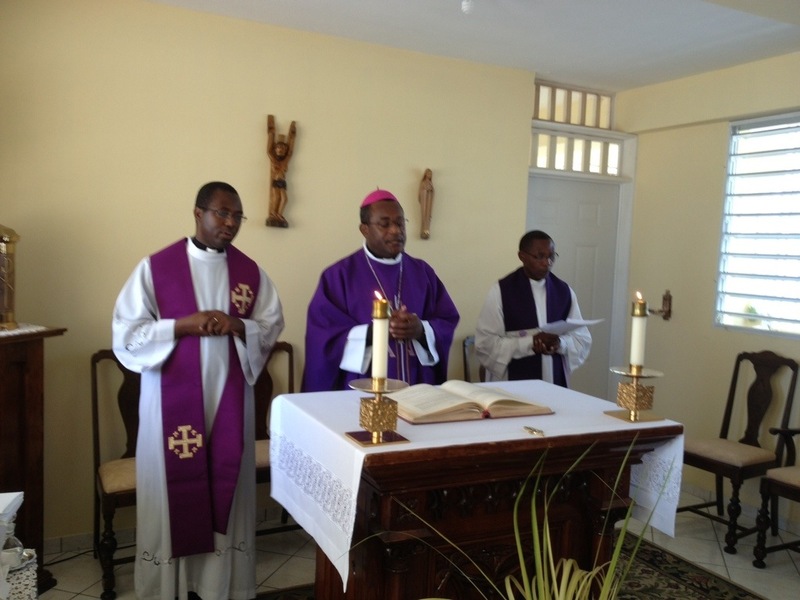 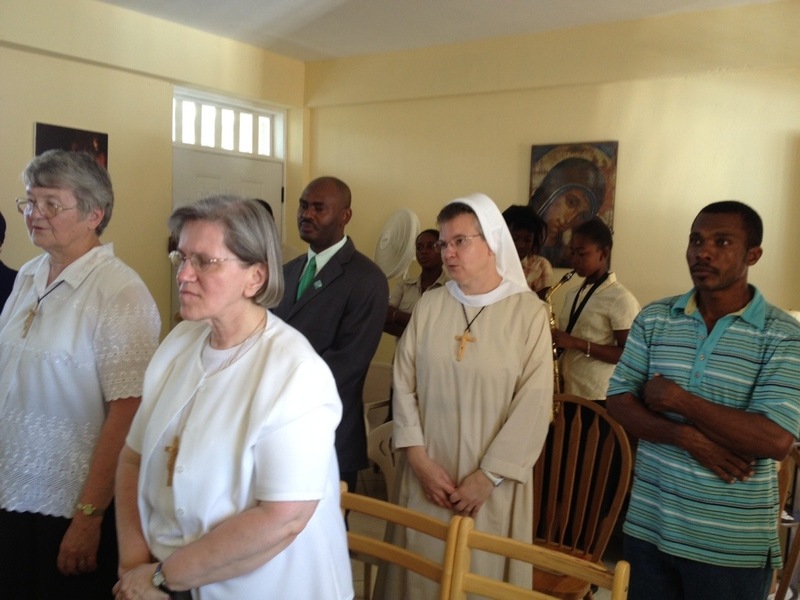 On the Monday, March 25, six days before Easter Sunday, Bishop Launay Saturne, celebrated the Eucharist and blest our new home in Jacmel, Haiti. 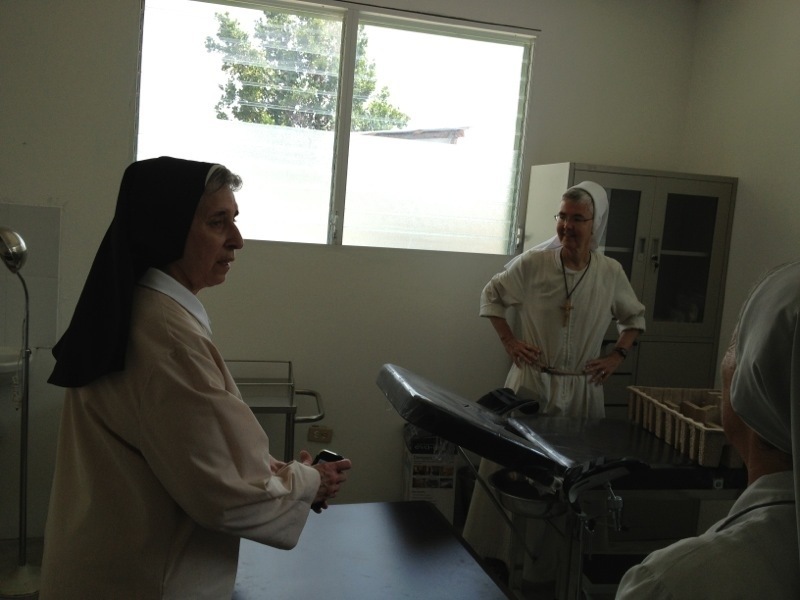 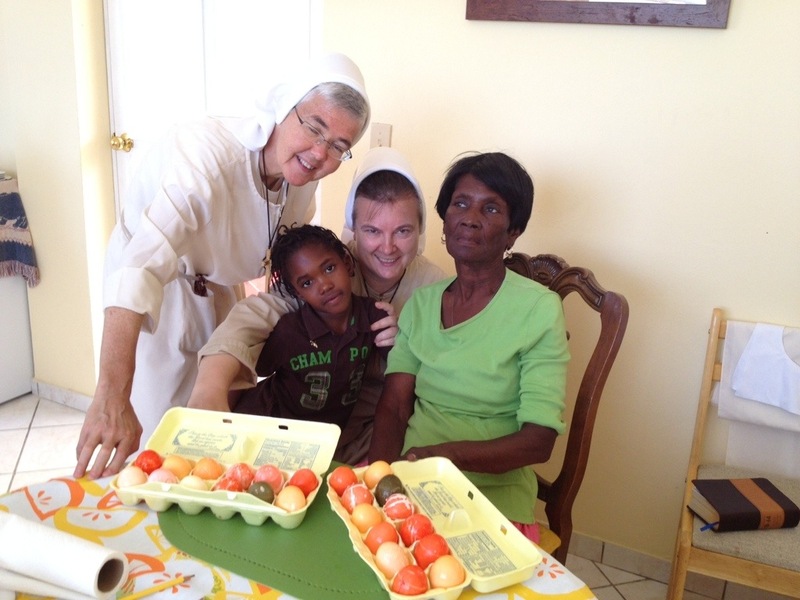 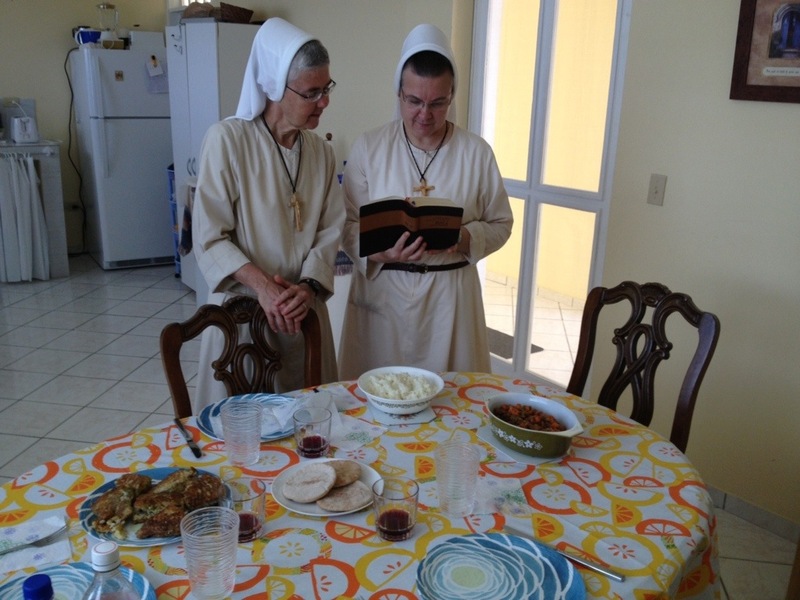 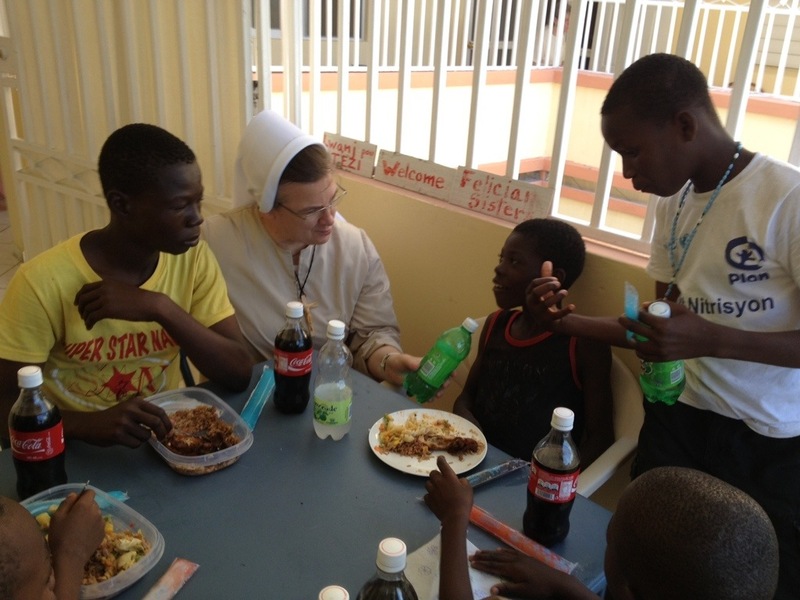 We were blest with the presence of Sister Mary Jolene and Sister MaryAnne, provincial council members. 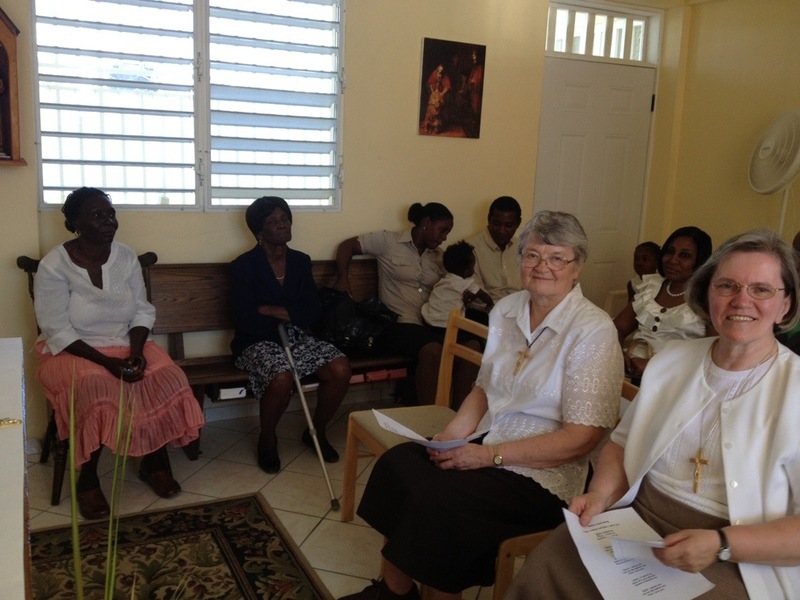 Even though our chapel is small, we were graced with the presence of friends and neighbors who have helped us begin the Felician mission in Haiti. 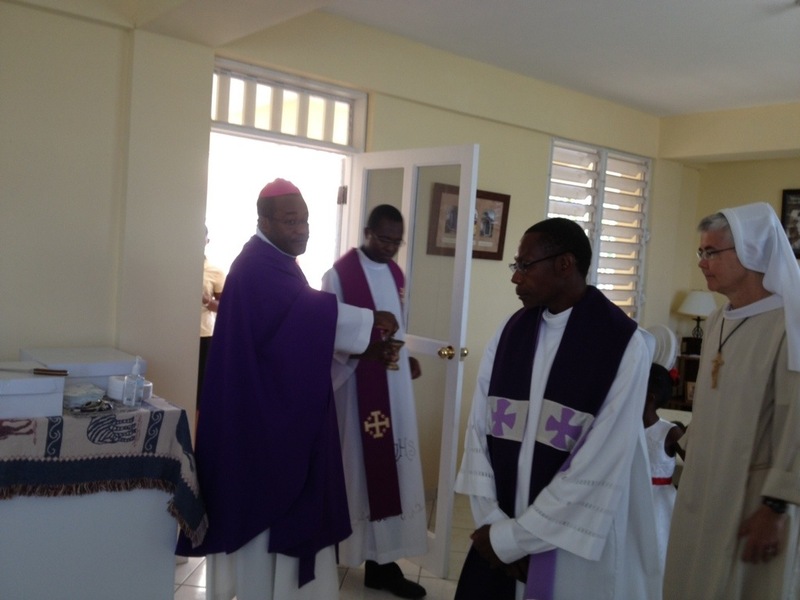 Mass was in Creole and English. 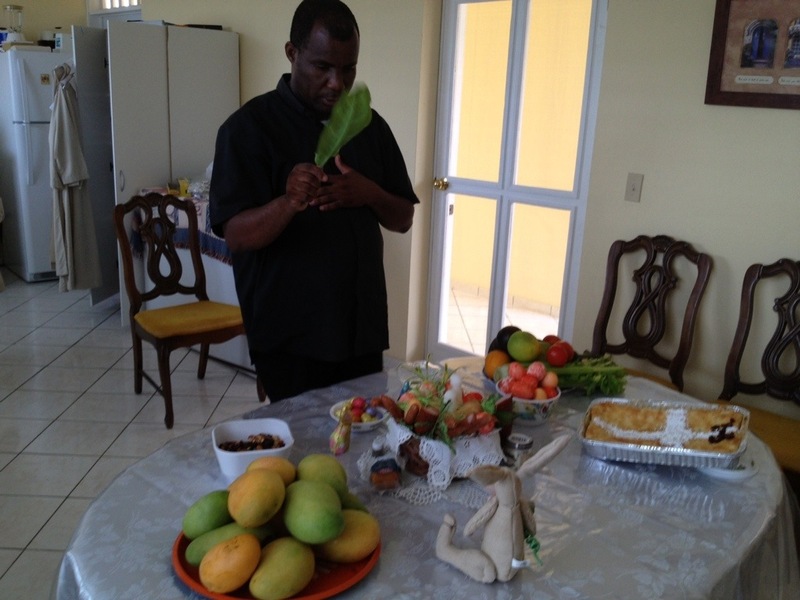 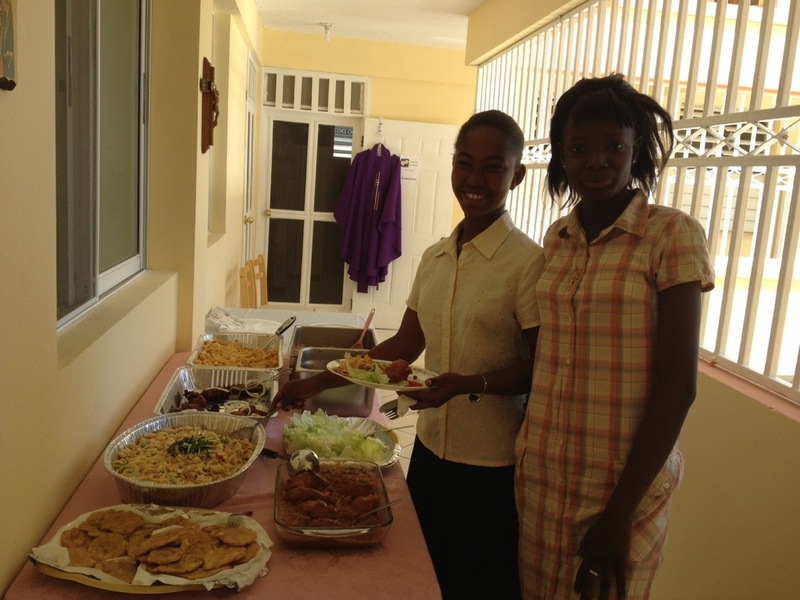 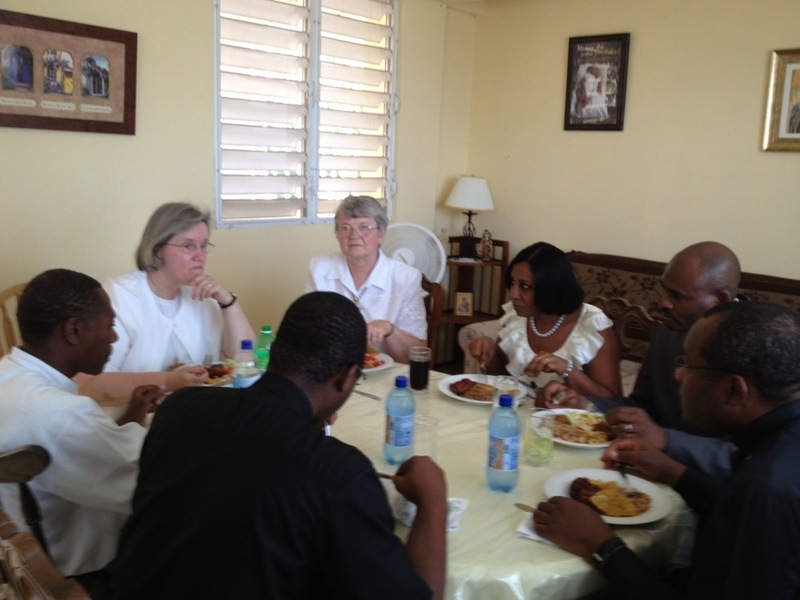 After the house blessing, we had a Haitian feast prepared by our neighbor. 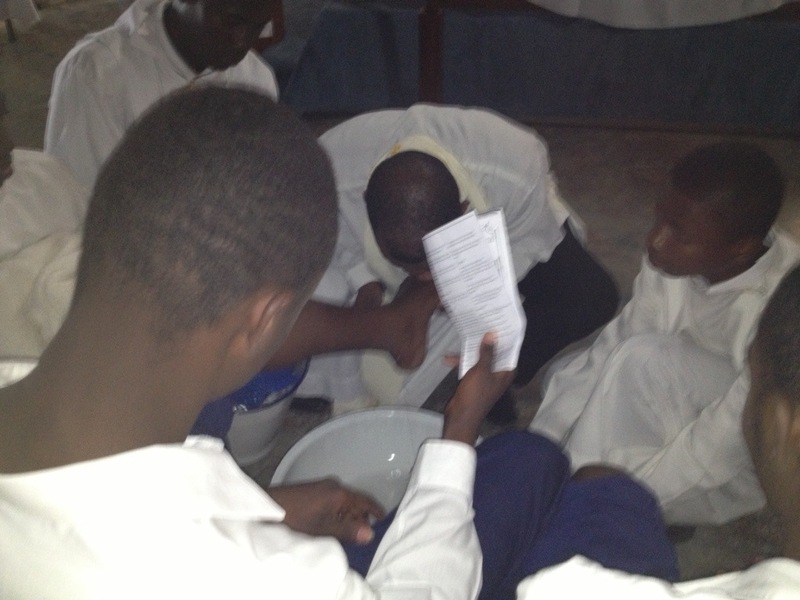 As soon as our guests left, our neighborhood boys, who come to visit us every evening, stopped by and shared in the feast. 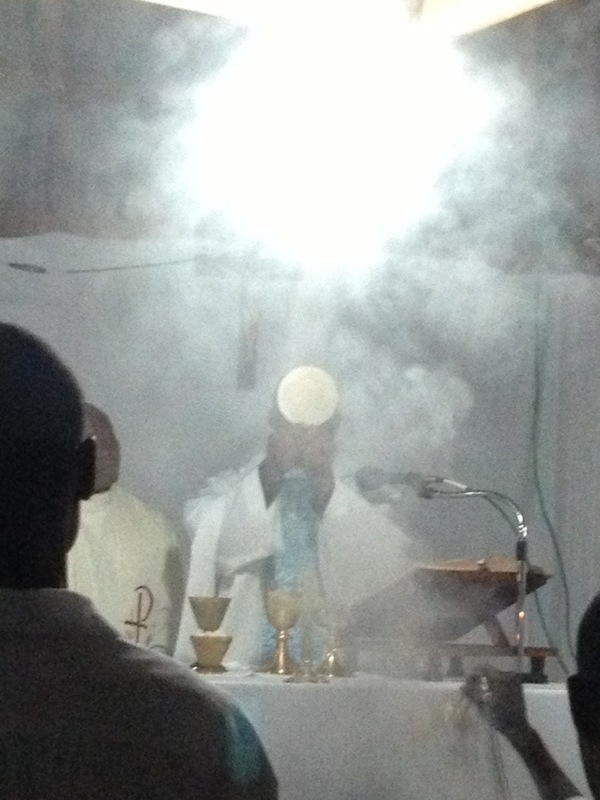 It was truly a grace-filled day. 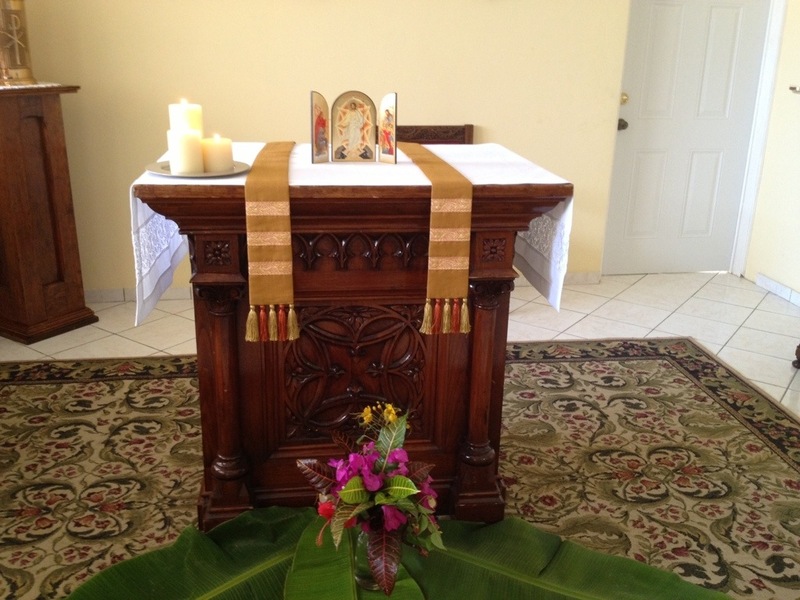 We ended our day with Eucharistic Adoration for the first time in our chapel, using our new small monstrance, a gift given to us by SM Christopher and her Council. 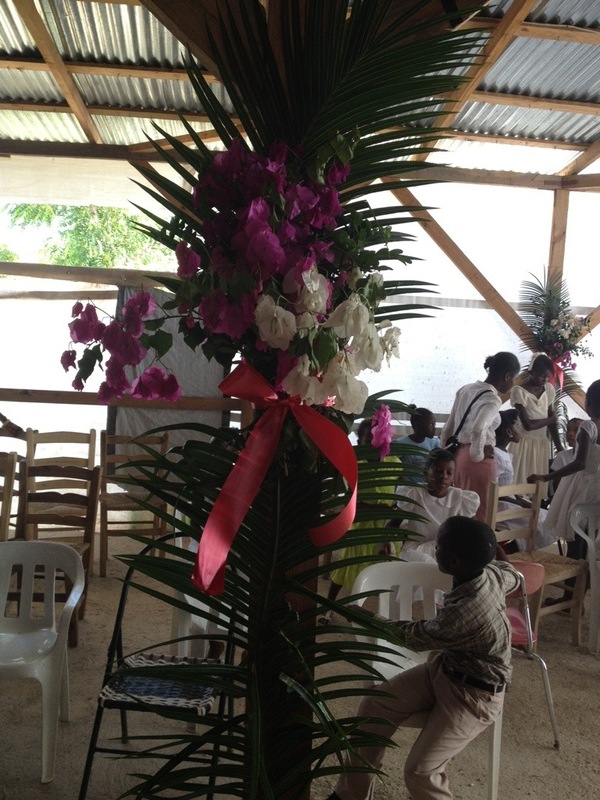 This was such a great and beautiful gift given to us for this special day! 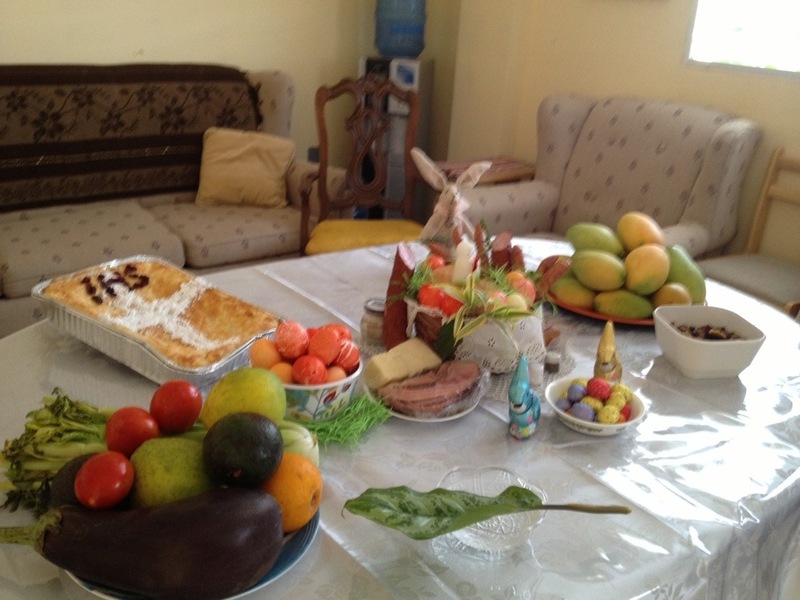 Mesi Bondye mesi!